In the more than 40 years since the passage of Title IX, the opportunities for girls to participate in sports has grown exponentially. Yet according to the Women’s Sports Foundation girls are twice as likely to drop out of sports as boys by the time they’re 14. Studies done by the Women’s Sports Foundation have found that school-aged girls who are involved in sports have a stronger sense of self, are more inclined to set goals for themselves, and are also less likely to partake in risky behaviors. Furthermore, the study found that girls who are involved with sports are less likely to experience symptoms related to stress and depression. Vera Lopez, an associate professor in the School of Justice and Social Inquiry at Arizona State University, recently conducted a study on the gender dynamic in school sports today. 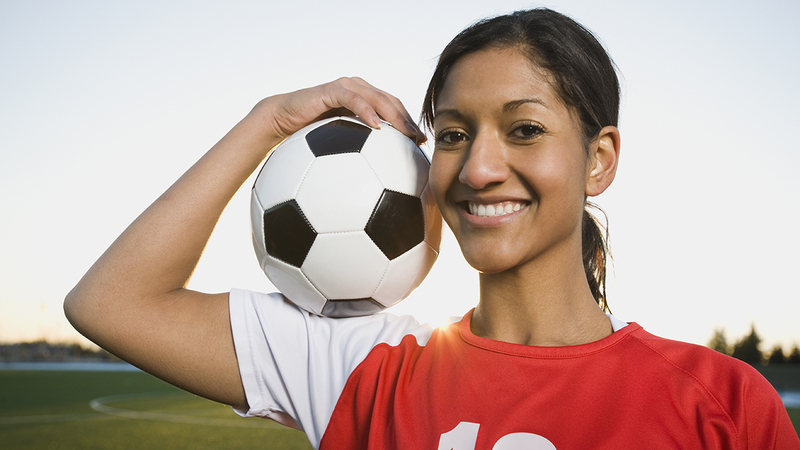 The study, entitled “No Latina Girls Allowed: Gender-Based Teasing Within School Sports and Physical Activity Contexts,” focused on the even lower participation rates in youth sports among Latinas. However, Lopez pinpointed some contributors that she perceives affect the participation of girls in general. According to Lopez’s study, self-consciousness was the most commonly reported reason for not wanting to participate in youth sports among the groups of girls she surveyed. Furthermore, the girls were uncomfortable with being the center of attention and with the way that their male peers would perceive them. Alaina Zanin, an assistant professor with the Hugh Downs School of Human Communication at ASU, has also started to analyze the issue of youth sports participation for girls. Zanin and her team created two new sports leagues for girls – one in a well-served area and the other in an underserved area in greater Phoenix – to observe how the self-perception of the participants as both athletes and young women evolve over the duration of the season. Zanin’s study is ongoing. In each of their respective studies, Lopez and Zanin both found that cultural differences and family obligations have contributed to the decline of participation for Latina girls and for girls in underserved areas. In Zanin’s study, the children who reside in the underserved area and participate attend a school in which 98 percent of the student body qualifies for free or reduced lunch. Typically, these students come from homes in which their parents are working multiple jobs. In some cases, whether these young girls participate, or not, comes down to lack of resources. “Is it an issue like, ‘I need someone to buy me tennis shoes,’ or, ‘I need a ride from practice,’ it’s just multitudes of things,” Zanin said. “Those are, I think, the things that I hope my research can find, is beyond the structural barriers, because I think if we throw resources at that, that’s something we can kind of solve. In terms of what it would take to see more girls playing sports beyond 14, Lopez thinks the initiative would need to be taken by those in authority positions. Have parents ruined sports participation for kids?